While the NSA claims to only target a small number of internet users for its creepy peeping (and then, only for our "security"), recent discoveries have shown that their methods of determining who is watch-worthy is more than just a few naughty buzzwords you may have typed into Google. Data from targeted users is compiled and stored indefinitely...with some targets (particularly those overseas) having done nothing more than use the Tor anonymizing software. 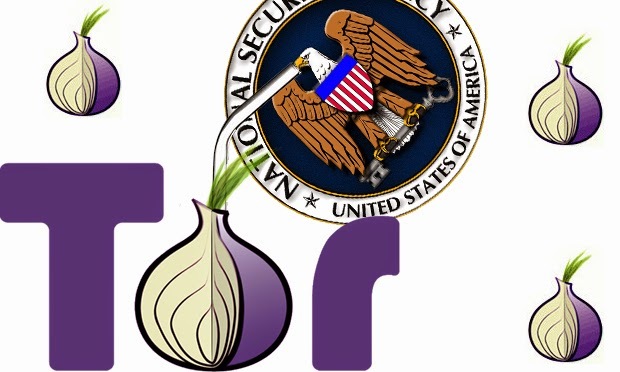 Tor, an "onion" type encryption service, anonymizes one by rerouting information through various proxy servers. This is extremely difficult to trace and henceforth infuriating to the NSA. Rather than do actual investigations to decide who may actually be committing cybercrimes via this software, the NSA instead chooses to target anyone who has downloaded the program to their computer. They are apparently under the assumption that those of us who are smart enough to recognize what is going on and going wrong are likely criminals for taking the "crazy" steps to protect ourselves. This revelation, as reported by boingboing.com, first emerged from the investigations of several intrepid German reporters. The leak of this information is thought to have been divulged post-Snowden, leading reporter Corey Doctorow to speculate, "The existence of a potential second source means that Snowden may have inspired some of his former colleagues to take a long, hard look at the agency's cavalier attitude to the law and decency." Yet while the total Tor-based "terrorist" list is currently thought only to apply to German users, one would not be surprised if this did or will soon apply to Tor users in America. If only one good apple could change the whole rotten barrel. At least we still have a barrel of...onions? Stinking as the whole operation is, the powers that be can't simply stop our freedom of thought just yet.